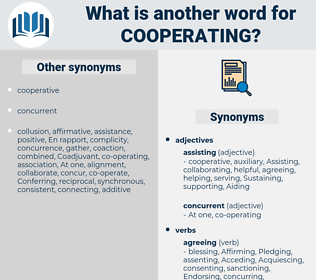 What is another word for Cooperating? collaborating, co-operation, cooperation, co-operate, collaborate, collaboration. 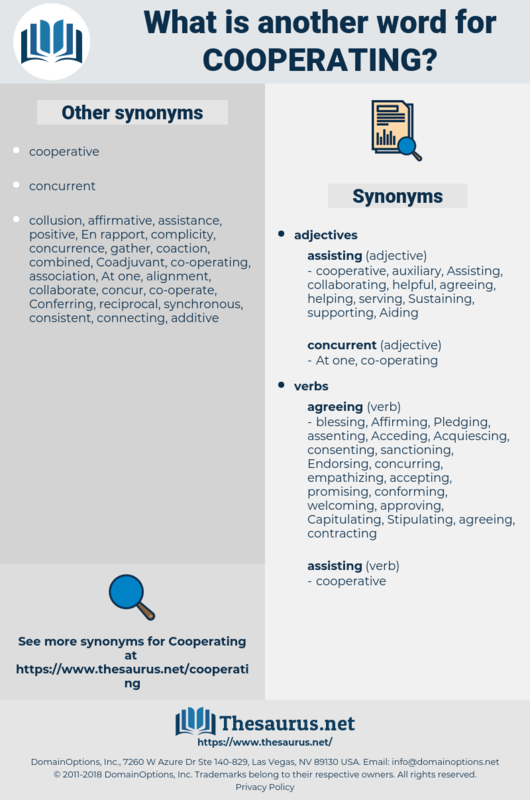 co-operated, coopera-, cooperative, Cooperant, collaborated. contributing, Facilitating, interacting, Colluding, Liaising, supporting, implementing, conducting, helping, joining, Pertaining, forging, Arising, Aiding, playing, Teaming, launching, grouping, backing, dealing, three, partnering.